In response to a Tweet by teacher Jacqueline Stallworth (@thebigseablog) about why she stopped teaching TKAM, Laurie Halse Anderson recently asked her Twitter followers, “Are you still teaching To Kill a Mockingbird? Why?” The result has been a vibrant, energetic discussion. We encourage students and teachers of TKAM to read and think about these critical issues (as teachers in Duluth, Minn., have been doing so recently), and we want to celebrate the fact that many of us are claiming space in our schools and/or via social media to think carefully about the complex issue of what we think students should read and why. For us, this is an exciting, important discussion with no simple answers. That said, we have a few points to add on this topic. The most important thing, we think, when considering what texts should and shouldn’t be taught in the classroom is the ultimate goal: We want students to read. If they don’t read, nothing else really matters. And no one should underestimate the challenge of getting students today to read. We love/hate Penny Kittle’s video, “Why Students Don’t Read What Is Assigned in Class.” As teachers, we work hard to engage our students with the texts we are teaching, but there is no shame in admitting that this is one of the biggest challenges English educators face. Each of us as teachers brings different skill sets to this challenge. Each of us finds different texts exciting and relevant. Just as importantly, each student, each class of students, and each moment in the classroom can render one text the perfect text to teach and another text a heavy lift. Next in importance to the issue of getting students to actually do the reading, we think, is the challenge of getting students to be thoughtful, critical readers, who can understand and articulate why reading matters and what’s important about a text. We’ve written and talked about Audrey’s first year-college students’ memory of their high school experience with Gatsby, for example. Her students had vague recollections of symbols, the green light, and rich people. Some remembered the idea of the American Dream. Few could articulate an idea of why Fitzgerald’s text matters or why it’s worth reading. If students can’t articulate what matters about a text, does it really make a difference whether they pass their eyes over the pages? Or remember that the green light was a symbol of something? Or that the text somehow connected with some vague idea about the American Dream? Of course, it’s hard for a teenager or early college student to articulate why a text matters. But surely that’s one of our critical tasks in the classroom. Having paid respect to the challenges of getting students to read and to read critically, we can turn to the questions: Is it time for TKAM to be replaced? Has the time come to update this text? Perhaps. Aaron Sorkin has tried an update of sorts in his new Broadway production, which, among other things, underscores the links between the current American and international climate of white supremacy and the historically-specific racism of Bob Ewell, Maycomb, and the 30s KKK. Like Spike Lee in BlacKKKlansman, Sorkin uses TKAM to connect the past and the present and to remind us of our ugly history and its many-tentacled connections to today. Sorkin struggles, however, to do more to give voice to the African-American perspective in TKAM. He tries some tweaks, but ultimately, the focus and perspective in his play, as in Lee’s novel, belong to Scout and Atticus, not Calpurnia and Tom Robinson. Whatever else it may be and whatever it may do in terms of interrogating issues of race and justice, TKAM is not a novel written from an African-American perspective. It does not offer students the opportunity to read a narrative that represents the viewpoint of an African-American writer or character. And surely we can agree that our students deserve to see many different perspectives, written by a range of different writers, in the texts they read. That’s one argument for replacing TKAM. There are many, many wonderful rich and complex texts by authors of color out there, and students deserve to see a variety of texts and authors in the curriculum and the classroom. That said, we can’t wait for a revision of TKAM from the perspective of Zeebo, Calpurnia’s son, or Lula, the African-American woman who objects to Scout and Jem’s presence in the church, or perhaps one of Tom’s children. Young writers out there, get going! Such a re-writing would be particularly important because TKAM is such an important text in American cultural history. That may not be reason enough for it still to be taught, but TKAM’s cultural capital makes it a particularly useful text for students to be able to think critically about. For some of us, the ability to navigate and think critically about this text is one reason to still teach it. In fact, it is a valuable opportunity to teach students how to “read against” a canonical text. How do we get students to do that work of thinking critically about TKAM? How do we ensure we are teaching this complex and problematic text well? For us, paired texts are the key. In Using Informational Text to Teach TKAM, we offer selections to make it easier for students to do this kind of work. A brief reading on entails, for example, unpacks the class politics of Maycomb, allowing students to understand the complex caste system within Maycomb, and why the Ewell’s poverty is different from the Cunningham’s. Excerpts from memoirs by the Scottsboro boys allow readers to think critically about Scout’s youthful and clueless perception and representation of the near-lynching of Tom. Consideration of Chief Justice Earl Warren’s decision in Loving v. Virginia contextualizes Dolphus Raymond’s drunken subterfuge and reminds us that both in the 30s when the novel was set and in 1960, when the novel was published, interracial marriage was criminal in some areas of the U.S. We also include pieces by Stephen Jones and David Margolick that raise questions about Atticus’s heroism and the continued challenges for lawyers of representing politically unpopular clients. Important, critical work can be done in the classroom with TKAM. The publication of Go Set a Watchman created even more possibilities for engaging pairings. We have a piece, to be published in Mockingbird Grows Up: Re-Reading Harper Lee Since Watchman, edited by Jonathan S. Cullick and Cheli Reutter (U of Tennessee P, 2020), centered around Calpurnia and the representation of black women, particularly nannies. Our lesson opens with a photograph, titled “Quaker Oats’s Aunt Jemima,” which depicts the seemingly loving relationship between an older black nanny and her young white charge and aligns with young Scout’s untroubled view of a nurturing Calpurnia. We then add to the discussion an excerpt from “Interview: A Perspective on the 1930s,” which offers a discussion among three now-elderly white women who, like Scout, grew up with black nannies in the 1930s South, which allows students to see the women’s blindspots about the loving, “wonderful” black people with whom they interacted. Next, we add an interview with Dorothy Bolden, an African-American woman who worked as a domestic in the 1930s South and subsequently founded the National Domestic Workers Union, in an audio excerpt, archived at the Voices of Labor Oral History Project on the Georgia State University Library website. In her own powerful and challenging language, Bolden describes the narrow “chalk line” African-Americans had to walk to earn low wages in the limited employment options available to them. Bolden’s focus is not on the attachment between white children and their black caregivers but instead on the “system” of domestic labor in which those caregivers were respected -- but only within the house -- paid poorly, and forced to walk a fine line of acquiescence and silence. When we then turn to the relationship between Scout and Calpurnia, students have built an informative context in which to consider the relationship between Scout and Calpurnia. They are now ready to examine the key moments foregrounding that complex relationship, including Calpurnia’s “double life” and “command of two languages” at church in Mockingbird and the hostile, remote Calpurnia in Watchman who stiffly assumes “company manners” and rejects the now-adult Jean Louise. Should TKAM still be taught? There’s no easy answer here. But what’s critically important is that we keep asking the question – about TKAM and about all the texts we teach. Which texts should we teach and why? The answers surely should change, from time to time, place to place, classroom to classroom, and teacher to teacher. Ultimately, what matters most is that we have and continue to have these sorts of discussions about the books, like TKAM, that we teach. Over the course of this past week, Audrey had the occasion to have two conversations about the NCTE Annual Convention. Do they ring true for you? The first conversation was with George Salazar, one of the winners of the New Jersey Council of Teachers of English’s Teachers for the Dream Award, whom Audrey spoke with in her capacity as president of NJCTE. The NJCTE Teacher for the Dream Award affords (in collaboration with NCTE) support for the two winners to attend NCTE. George had asked what to expect at the convention, and Audrey found herself gushing about the opportunity to be in a community of teachers sharing ideas and seeking inspiration. For those able to afford attendance at NCTE (which isn’t everyone), the convention represents a unique opportunity to get outside the bubbles of our classrooms and schools and connect with teachers from every level and every part of the U.S. (and even abroad). We (Audrey and Susan) always leave feeling empowered, invigorated, and excited. Speaking with George and thinking about his plans to attend his first NCTE in Baltimore in 2019, Audrey was reminded of the power of the convention. Audrey’s second conversation was with Lauren Zucker, a new NJCTE board member and an active member of NCTE. We (Audrey and Lauren) found ourselves commiserating about how the inspiration and excitement of NCTE seems to slip away, in part because of the convention’s timing. Leaving behind our institutions for the convention, only to return for those hurried few days before Thanksgiving, to then turn away for the holidays, we finally return again to our schools in the waning days of November as the crush of the end of the year weighs down on us. Despite whatever planning we attempt, those days away – for NCTE and Thanksgiving – always seem to come back to haunt us: to make us feel overwhelmed, discombobulated, frazzled. It’s hard to hold onto the inspiration and excitement of NCTE, to remember those new ideas we wanted to try, strategies we hoped to employ, tools we were thinking of experimenting with, as we try to catch up and catch our breath. Surely, the answer to the latter predicament is to take good notes at NCTE and to spend some time during and after the convention writing – putting our thoughts, ambitions, and inspirations onto paper or the computer screen. That way, we can return to them, but at a later date when we have the space to breathe. 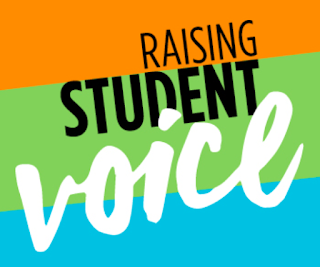 Even the theme itself of the convention – "Finding Student Voice" – seemed to reflect that conflict: a focus on finding voice seems to admit the loss or absence of voice. How did we come to be in a place where we need to pay attention to finding student voice, especially in the English classroom of all places? How did student voice come to be submerged, repressed, or absent in a discipline all about ideas, voices, and expression? The issue, even tenuousness, of voice – of free and open debate and discourse – however, is so omnipresent at this moment. We face issues in the media about fake news/truth and our NCTE convention was taking place during the fracas about the revocation by the White House of CNN’s Jim Acosta’s press credentials. We ourselves had a tiny taste of this issue of voice and free discourse. Just prior to NCTE, we presented at the New Jersey Education Association’s convention a session called “Teaching Inequality to Encourage Students to Speak about Justice,” which was in keeping with the social justice theme of the convention. As we previously wrote about here, our session was called out as part of an editorial against the NJEA convention published on the NJ101.5 website by Jeff Deminski. There we are, from 9:45-11:15, talking about teaching inequality and justice. Thankfully, we were not called out by name or institution. And we are both employed with relative security. But is this kind of public condemnation for doing the work of our profession as educators what we all have to look forward to in the future? Are these the times we face? Deminiski’s critique - why not just teach language arts? – is underwritten by a threat (you aren’t entitled to your voice) about the legitimacy of our work (you aren’t doing the real work of the discipline). These sorts of threats have serious consequences in our current climate, and they diminish all our voices. We were privileged to offer a session this year at NJEA, the teacher’s convention in Atlantic City sponsored by the New Jersey Education Association (NJEA). This was our second time presenting at NJEA, and once again we found the educators to be incredibly engaged and committed to their fields and to professional development. 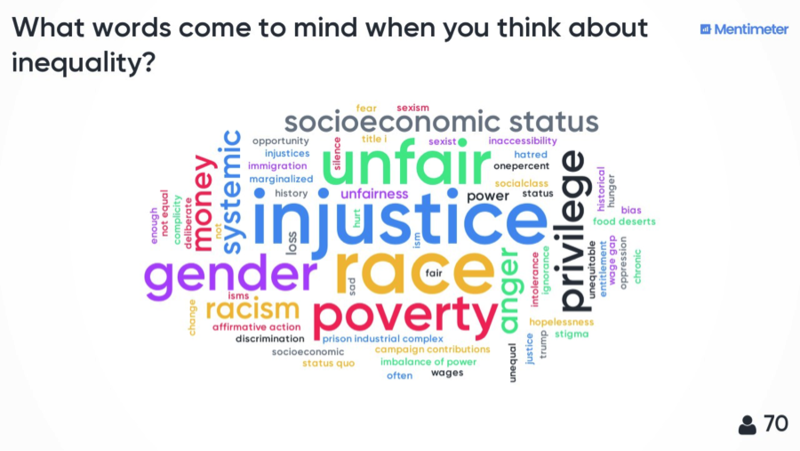 We opened the session with a survey/word cloud generated by our latest favorite tool, Mentimeter. 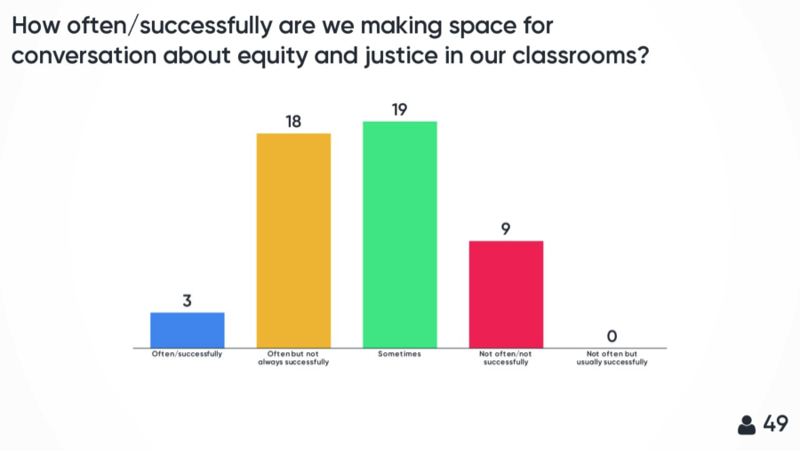 When we asked our attendees, however, how successful they felt they were in creating space for conversation about inequality and justice in our classrooms, the responses were less sanguine. 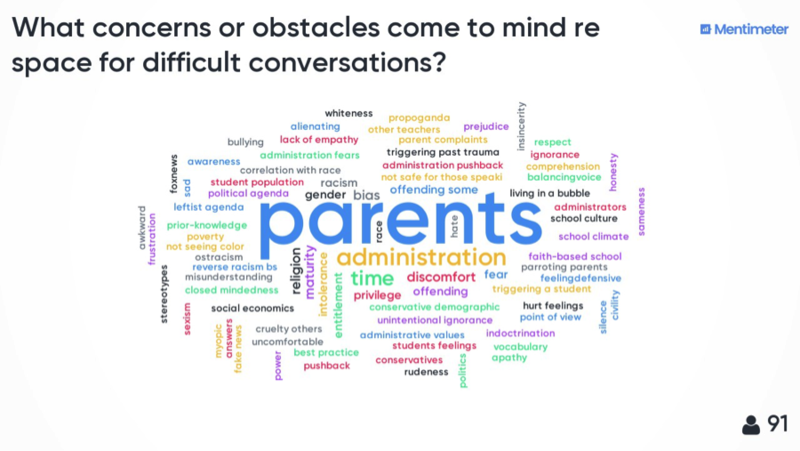 Clearly our attendees were well aware of the obstacles: lack of resources in our schools, administrative or institutional obstacles, push-back from different constituencies, and most importantly student emotions. 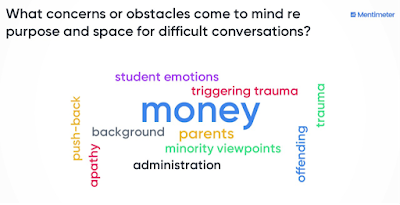 The latter point – registered in the words “student emotions,” “triggering trauma,” and “offending” – illustrates the difficulty we face in doing this kind of work. Conversations about inequality that are not conducted with skill and empathy can do more damage. Yet these conversations, we contend, are more important now than ever. We always stress the important of foregrounding purpose in the language arts classroom. Students need to know why we are reading and discussing these particular texts and ideas. As Cris Tovani notes (2000), it is all too common that without a clear purpose for reading, even relatively diligent and well-intentioned students learn to “fake-read” early on, as she did, and are able to get by doing so all the way through high school (4-5). Unless we foreground the big ideas and essential questions we hope to address in relation to the text (Wiggins & McTighe 2014; Burke 2010), students are likely to have little sense of the purpose of their reading. And if we are going to harness student engagement, our purpose needs to be authentically and creatively connected to the students’ lives and interests. So while making explicit our purpose has always ungirded our teaching practice, linking that purpose to discussion of difficult issues – like inequality and justice - seems more important now than ever. If students don't learn how to engage in thoughtful, evidence-based, civil discussions in a classroom full of peers with whom they have to relate on a regular basis, then the only place they are likely to see or hear discourse about such issues is via cable news, social media, or 2nd or 3rd hand from family or friends. Our media universe is full of people talking or shouting past each other without engaging in evidence-based, civil discussion. 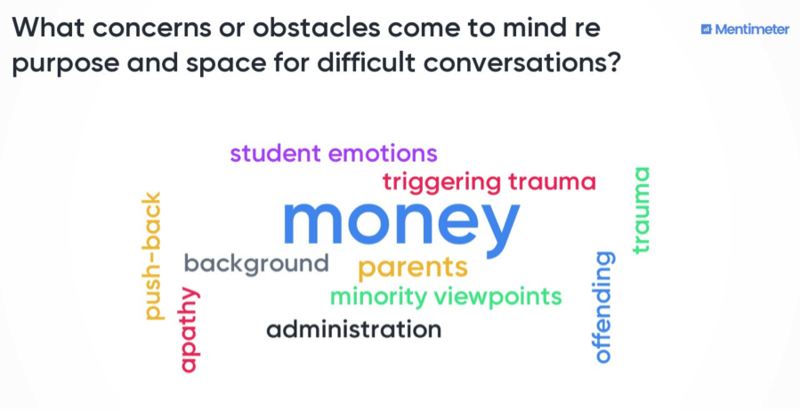 We need to find ways to make our classrooms a different, safe space, where students can practice engaging in difficult but critical conversations (Chadwick 2016) about the troubling world we live in. In our session, we talked with our attendees about ways to do that work: with intellectual rigor and civility. Interestingly, in a first for us, our session was called out for opprobrium in the broader media universe. As part of an editorial for the NJ101.5 website, Jeff Deminski made his case against the benefits of the NJEA Convention. There we are, from 9:45-11:15, talking about teaching inequality and justice. Why not just teach language arts, Deminski’s asks. We are! The math teachers are also just teaching math, but they are doing so by amplifying student interest in Moana in order to engage students in math. I suppose the math teachers could teach math without any context or application – as simple numbers. But why would we want that? How would we expect students to succeed given that pedagogical approach? And what would it even mean to just teach language arts? Our session explored teaching ideas and strategies for The Great Gatsby. This is a classic text of the English curriculum, beloved by teachers and students for decades. It is also a text centrally concerned with inequality and justice. Gatsby opens with a rant from the wealthy white bully Tom Buchanan about the threat of immigration to the continuance of what he sees as the rightful dominance of the white race. Tom cites a prominent white nationalist from the 20s, Lothrop Stoddard to justify his ideas. Teaching language arts means teaching students to think carefully and critically about how a text works and about its language and ideas. We need to read Tom’s words closely and then think critically about how they function in relation to the novel. Hence our session. We also need to recognize that in 2018, teaching language arts, even with canonical texts like Gatsby, is more and more difficult. 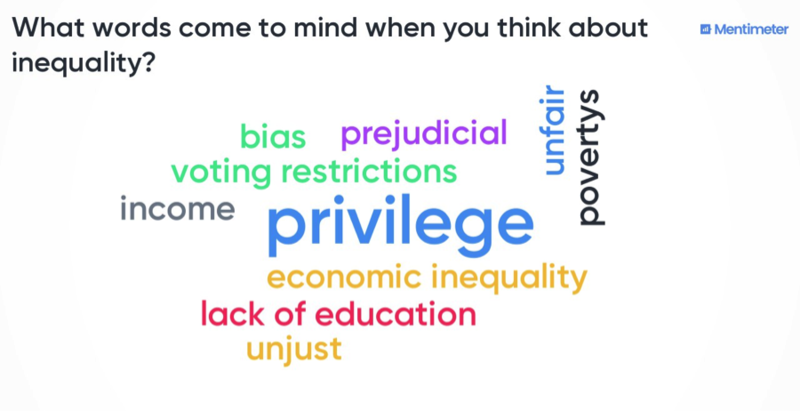 We live, as our attendees noted, in a world structured by inequality – by privilege, educational inequality, educational inequality, voting restrictions, and poverty. Even when we are teaching traditional canonical texts, addressing issues of inequality and justice requires more skill and care than ever. Our attendees were well aware of the obstacles we all face in doing this work well. For us, this session offered something new: a superficial and wholly uninformed dismissal of our work from a random opinion writer. Not nice. But both the dedication of the teachers in our session and this bit of negativity reinvigorate us to continue this work – onward to Houston for NCTE and CEL! It was very early and very dark when we began our journey to Harrisburg, PA, to present at the Pennsylvania Council of Teachers of English annual conference, #PCTELA18. Audrey had been to the national affiliate meeting for NCTE, where leaders of all the affiliates gather and share ideas and resources, and met some of the dynamic PCTELA board members, and we were very excited to get to hear the amazing A.S. King speak, so we knew it would be worth the trip. It sounded good at the time, but when we had to get up at 4am and drive through NJ and PA in the dark, we began to question why we were doing this! As always, we started to feel energized as we arrived at the conference and left feeling inspired and ready to take on the world (if a little tired). Isn’t that what’s so great about NCTE and the affiliates – how they harness and focus our energies and remind us of the amazing community of educators to which we belong. We presented our latest incarnation of our work, entitled for this forum, Gatsby: 1925 or 2018? We opened our presentation with our newest favorite tech tool, Mentimeter. We asked our audience the following: When you think of Gatsby, what words come to mind? Mentimeter did the rest, in real time; how awesome! From there, and invoking the conference theme, “The Stories of Our Lives,” we launched into our discussion of how The Great Gatsby, a text written and set in the 1920s and taught regularly in many, many English classrooms, can be taught as a topical, relevant text that interrogates fundamental issues -- past, present, and future -- about our culture and beliefs. 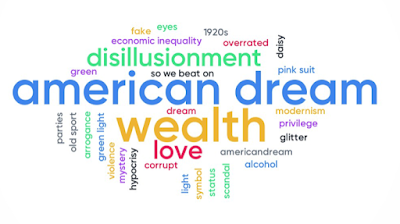 We explored key issues in Gatsby – white supremacy and nationalism, the difficulties of economic mobility, economic inequality, anti-Semitism, and the social psychology of privilege and entitlement – and tried to unpack how to use this canonical text to create space for difficult, critical conversations. 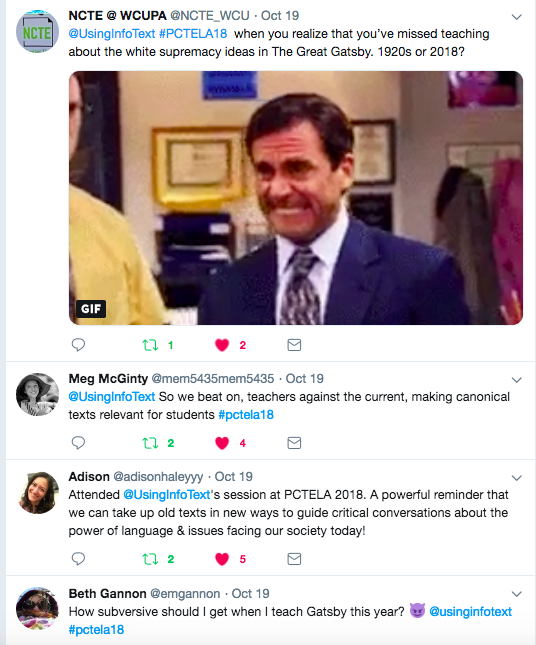 For us, it was fascinating to talk pedagogy with PCTELA members who self-identified as people teaching in the big red state of PA. For both of us, teaching in urban Northern New Jersey, the politics are enormously different. The energy and engagement in the room was palpable; several people interjected mid-session with questions and comments (a presenter’s greatest delight!). 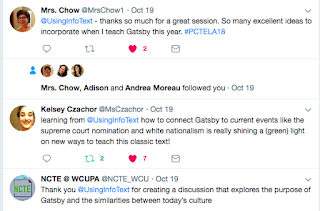 For example, one person at PCTELA asked us whether we were worried about injecting politics into the classroom when, for example, we focus on the white nationalism and economic inequality in Gatsby. Another asked whether we include opposing viewpoints. Still another asked about whether we worried that students would just give us back what we want to hear. These are legitimate, challenging concerns that are worth careful consideration. First, we try to think about our work as focused on extracting the politics out of the text(s), rather than injecting our politics. Of course, we focus on things we care about. And so our extraction, our focus, is of necessity going to change based on time and place. Trump, Kavanaugh, Roseanne (some of the connections that have recently caught our attention) produce our interest in how the text navigates white nationalism, fear of non-white immigrants, white male privilege, and the anger and entitlement of those in positions of power. 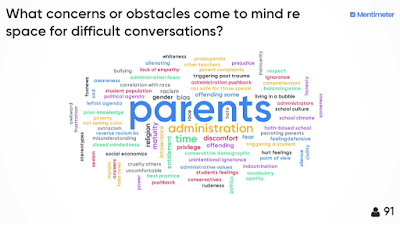 That said, no one in 2018 can underestimate the trepidation teachers (and students too) feel about these difficult conversations. 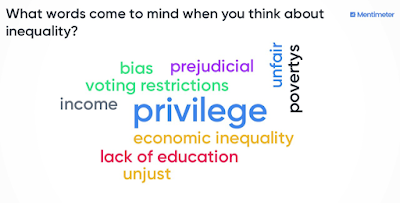 Yet, as one of our PCTELA audience members asserted, based on his experience teaching at a wealthy, all-male private school with what he described as a mostly Republican student body, young people are eager to talk about these things. If we open the door and ground our discussion in Gatsby and companion texts like excerpts from Lothrop Stoddard, author of The Rising Tide of Color Against White World Supremacy, (inspiration for Fitzgerald’s Goddard), or social psychologist Paul Piff’s “Does Money Make You Mean,” an engaging TED Talk about behavioral experiments involving games of monopoly, driving habits, and more, we create space for dialogue in our classroom. We don’t have to be explicit in discussing Trump or Kavanaugh; for a variety of reasons, we may not be comfortable doing so. But we can frame our discussions of Gatsby and extract the politics from Fitzgerald’s text, so that students have the space and language to think and talk about the big issues that they are seeing all around them. That’s our hope based on our experience, albeit in a very different environment. After our talk, we had the amazing privilege to hear contemporary young adult author A.S. King address PCTELA. Wow! Her remarks about the importance of young adult literature resonated so strongly with us. King talked about how she couldn’t connect with the four novels (!) she was assigned in the entirety of her high school experience. The Scarlett Letter, she noted, seemed to contain all sorts of issues that should have been meaningful to her, but the Puritans, she admitted, “were a real buzz-kill.” And so she skipped Hawthorne. Her broader point was that contemporary young adult literature has such an important place in our curriculum, particularly as it keeps young readers reading. King noted sardonically those gatekeepers who say that they don’t believe in contemporary young adult literature and retorted, “it’s not like fairies; it exists.” Indeed. And the passion that so many young readers have for this literature only serves to underscore the importance of our finding ways to make ALL the texts we teach meaningful, relevant, and purposeful for our students. Our work is cut out for us, especially for those who teach in schools where the curriculum is still dominated by mostly canonical and somewhat inaccessible texts, like Gatsby. But as we tried to show in our presentation, it is precisely Gatsby’s staid canonicity that makes it so full of insurgent and subversive possibilities. This is the work we love, and that so many English teachers do so creatively, ambitiously, and thoughtfully. So, all in all, an inspiring and impressive PCTELA conference. We left invigorated, and on the way home stopped in Hershey for a tour of Chocolate World (Susan’s first time). Sweet! If you have been following our work on Gatsby, you know we are interested in the ways in which Fitzgerald’s novel is eerily resonant with many of the issues we are facing at this moment: anti-Semitism, anti-immigrant sentiment and general xenophobia, economic inequality, white nationalist anxiety, and more. Time and again we are intrigued and amazed at the ways in which Fitzgerald’s 1925 text anticipates and reflects the issues of our current historical moment (which may be to say that these issues continue to appear and reappear across time). As Smith details, all the main characters in Gatsby, not just Tom, use their wealth and power to assert a kind of deceitful privilege in the world. Jordan cheats at golf. Nick buys a financial practice to start a new life, leaving the Midwest and a “tangle” of a relationship behind. Daisy, with her “voice full of money,” rarely, as Smith notes, “says anything she means.” As Nick notes, it’s almost as if Daisy and Tom belong to a “distinguished secret society,” in which power, not truth, is the real currency. Closely linked to Smith’s discussion of power and privilege in Gatsby and Trump is a fascinating discussion by Paul Krugman in The New York Times, “The Angry White Male Caucus.” Krugman argues that Trump’s and Brett Kavanaugh’s white male anger represents a “sort of high-end resentment, the anger of highly-privileged people who nonetheless feel that they aren’t privileged enough or that their privileges might be eroded by social change.” Doesn’t this toxic mix of privilege and anger also sound like Tom, a man of immense wealth who is unaccountably worried about the colored races taking over the world and who, in the course of the novel, comes to face his worst nightmare when he discovers that Mr. Nobody from Nowhere is sleeping with his wife? Of course, Gatsby makes clear that Tom is not subject to the same rules as the rest of us. Gatsby, in the end, does not represent any threat to Tom; even the prize, Daisy, returns to her rightful position with Mr. Somebody. The status quo is maintained, albeit unsettlingly, within Gatsby, although the novel registers both the threat to and the rage of its Trumpian Tom. 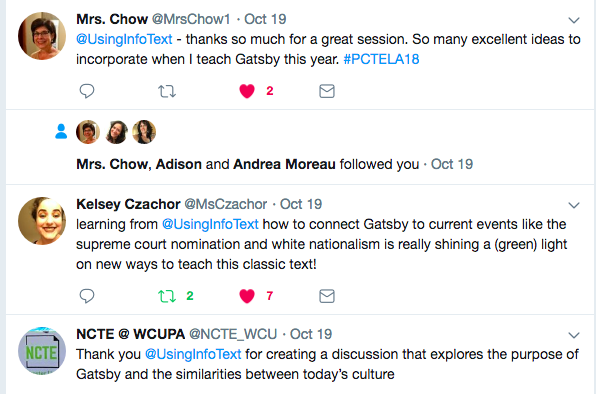 Those of us who teach in places where candid and open discussion of the current political scene is possible are lucky to be able to teach Gatsby in a moment where its relevance can infuse our teaching with the kind of purpose that is so critical in the classroom. 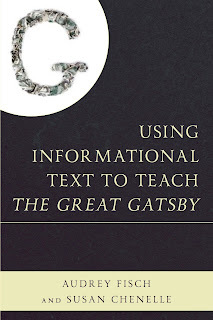 The connections between Gatsby and Trump underscore for us and our students why this text matters and how it enables critically important conversations. Smith’s article, for example, illustrates exactly how pertinent and revealing careful literary analysis can be beyond the English classroom. For those of us for whom such explicit discussions would be more dangerous (and we know that ours is a difficult moment for academic freedom), it is worth remembering the vital work of opening up space in the classroom for conversations vis-à-vis the very traditional and canonical Gatsby about power, truth, privilege and xenophobia. 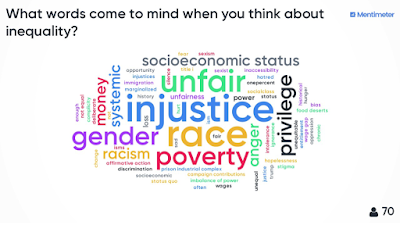 Even when we don’t link these issues explicitly with Trump or Kavanaugh as part of our classroom conversations, our thoughtful attention to the issues of power and its abuses in Gatsby can serve as a catalyst, provoking and allowing students to make their own connections in their writing or in their private conversations outside the classroom. And while it may seem risky to engage in such difficult discussions in our classrooms, as we discussed with the dedicated teachers we met at the NJCTE Fall Conference last weekend, it is far scarier to allow our students to leave our classrooms without having the opportunity to learn how to engage in the kinds of thoughtful, critical conversations that our democracy hinges upon. If you share the same concerns and happen to be in Pennsylvania on October 19, please join us at PCTELA to continue this conversation. Another source for Gatsby's "this man Goddard"
Stoddard’s text is in public domain and accessible online, but critical, relevant excerpts are available in a classroom-ready format, accompanied by discussion and writing prompts and other teaching materials, in our recent volume, Using Informational Text to Teach The Great Gatsby. We find the Stoddard text critical and compelling, not just in terms of understanding Gatsby but also in relation to the heightened rhetoric around immigration and nativism that has emerged under the Trump presidency. Using Stoddard excerpts, in connection with a discussion of Tom’s discussion of the “Goddard,” allows an entry-point for these historically-specific ideas about white nationalism in the classroom (with or without explicit connection to the contemporary Trump context). And the poorest of each race are more likely to be feeble-minded? Apparently. As Joella Straley writes on National Public Radio’s Code Switch, the year after Goddard presented his findings, deportation numbers for “feeble-mindedness” doubled. We have yet to uncover any evidence that Fitzgerald was aware of Henry H. Goddard and his eugenicist work, but the re-naming of Stoddard as Goddard is surely no coincidence. Regardless, a brief perusal of a few paragraphs of Goddard’s work, such as an excerpt from “Mental Tests and the Immigrant,” can serve to underscore the anti-immigrant xenophobia of the world of Gatsby and the ways in which Tom (and Nick’s) racism and anti-Semitism form part of a broader landscape of nativism. An excerpt from Henry Goddard, then, could be easily put into dialogue with Gatsby and, using the discussion and writing prompts and multimedia links provided in our unit on Stoddard, even more deeply complicate ours and our students’ understanding of Fitzgerald’s novel.